Back Issue of HW Magazine June 2006. • Kalyah's Story, rider with a heart defect rides at state level! • Are we too competitive? • Is your bucket bigger than your horse's belly? Just $3 each - plus postage & handling - choose from the options below. 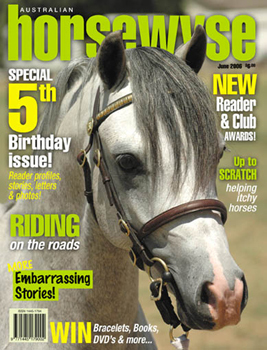 Click here to order 4 or more back issues at a discounted price!